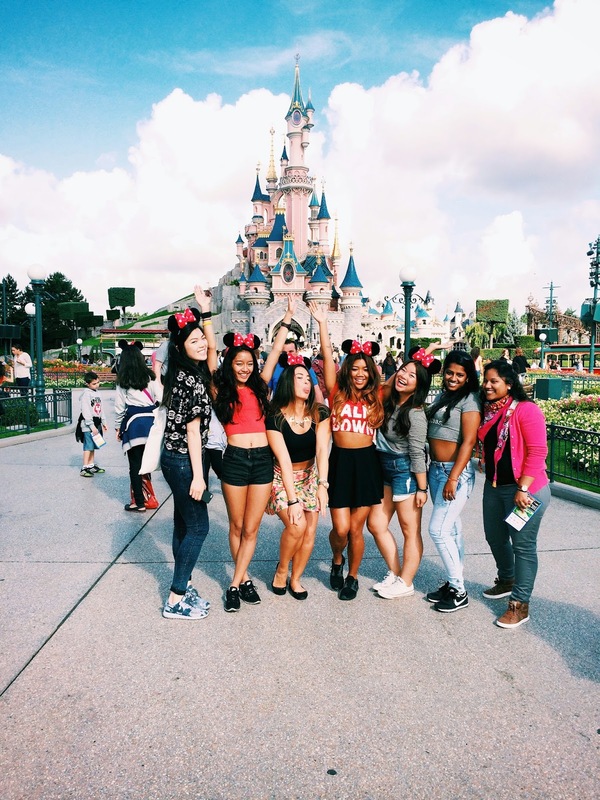 A few days ago I went to Paris, France with a couple of friends to go see EuroDisney! I haven't been there in a while so it was nice to visit it with my friends. I had a blast and the weather behaved itself. 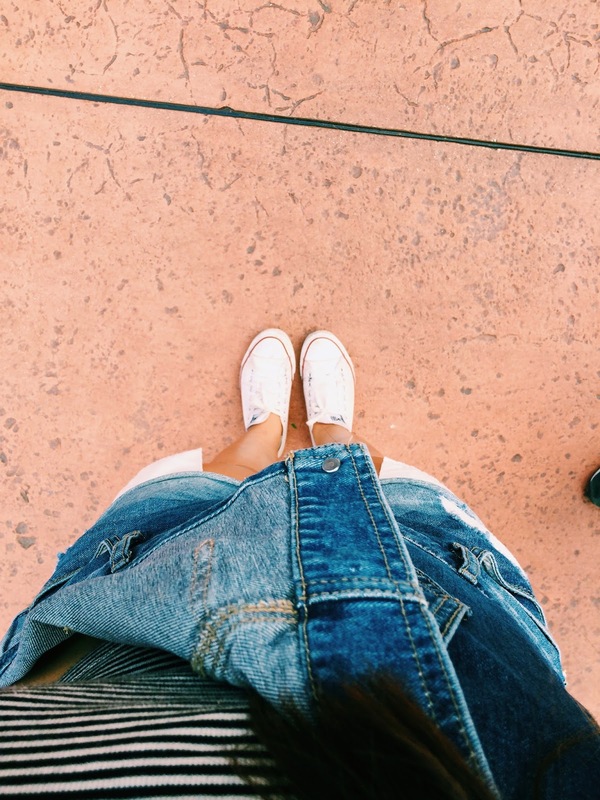 Here are some pictures of my trip, mainly of my outfit in Disney. It is the one and almost only time where you can go all childish without being inappropriate. 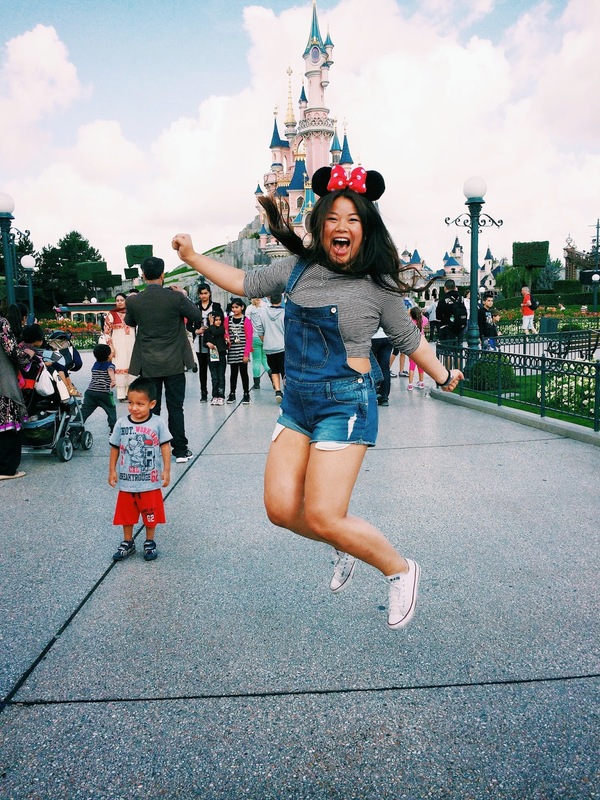 So I opted for a cropped shirt with dungarees and to top it off wore some minnie mouse ears. How much more Disney can you get? I love the group photo! You girls look so cute! You've captured the magic! :D What an adventure!